Is Cheap Screen Printing too Cheap for Its Own Good? We know that people like to save money, but one of the things you don’t want to try to save money on is “cheap screen printing.” We can provide screen printing if you like, but the industry has been revolutionised by a new process: sublimation. We have been in business for 36 years. For most of that time, screen printing and embroidering were the only options for customising apparel. We love screen printing and we provided some of the best screen printing in the Perth area. From time to time, however, we talked to people who asked if we could fix cheap screen printing they had gotten from other vendors. Unfortunately, the answer was always “no.” We had to start over and do the job right. Between the original shirts that were no good and the new batch they bought from us, that “cheap screen printing” didn’t save them any money at all. In fact, it cost them more money. They would have saved a lot if they would have simply done it right the first time. The computer age brought a lot of changes in apparel. One of the best changes for companies like us and people like you who want high quality apparel is the sublimation process. In sublimation, we use computers to recreate any photograph or image you like. We then use special sublimation dyes that soak right into the fabric. One of the problems with cheap screen printing is that it would start coming off of the shirt in clumps after one or two washings. Even high quality screen printing needs special care to have a long shelf life. With sublimation, the dyes are in the fabric. They basically last as long as the fabric does. Due to the process itself, we can also deliver any photo-quality design of your choice. This allows us a lot more flexibility than screen printing does. 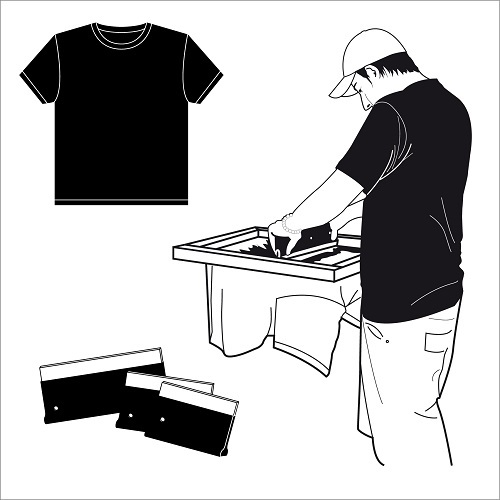 To learn more about the sublimation process and how it creates high-quality t-shirts, call us today: (08) 92444 111.